We are a specialist global SMS text messaging provider. We form a vital link between mobile networks and businesses who want to communicate via text message. We’re based in Manchester’s Northern Quarter – one the UK’s leading digital technology hubs. Every year we welcome thousands of new users and process over 100 million text messages to over 192 countries – all with over 99.9% availability and superb delivery rates. We continually improve our services, making them even more robust and easier to use. 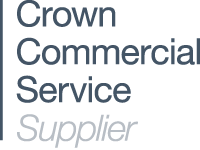 In recognition, we are officially a Crown Commercial Service (CCS) supplier, with all four of our products having been awarded a place on the Digital Marketplace as a Software as a Service (SAAS) provider. Florence is a Telehealth application and texting service which enables patients to text in their vital statistics using their own mobile phone. It is used as a tool to help clinicians develop innovative and practical ways to help patients manage their own healthcare.